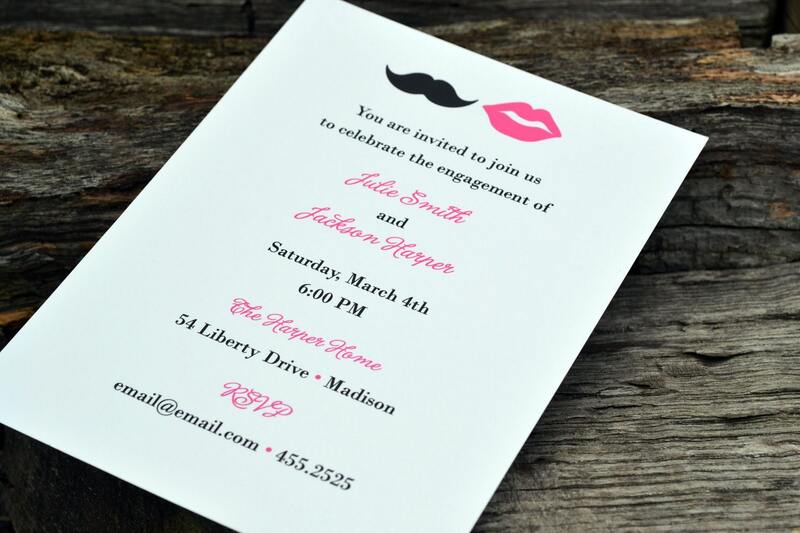 A fun lips and mustache invitation that is perfect for any occasion! Engagement Parties, Bridal Showers, Wedding Events etc. The lips on this invitation are done in a pretty bubble gum pink. •Additional quantities available-just send a convo!